Every single organization is aware of the benefit and the requirement of keeping their employees happy. With happy employees amongst the folds of any entity, your team can easily create magic. However, the onus always remains with the top brass and the management of a business to keep their team happy. And, one of the biggest ways to keep your employees over the moon is by consistently motivating them so that they provide the best service to your customer. The equation is quite simple, and even a 5-year old can understand—in fact, it is a very logical trade-off. You have to keep your employees motivated and happy so that they pass the same buck to the customer! Here’s a look at some of the way by which you can motivate your team so that in return they provide better customer support and service to your shoppers. It may seem that you are relying too much on textbooks, but these theories were designed so meticulously, with very sensible analogies, which can even work in today’s time. Physiological: One’s need for food, shelter, and the basic stuff. Safety: One’s need for job security, good health, and family’s wellbeing. Love: Friendship and family needs. Esteem: Confidence and respect from workplace and peers. And Self-Actualization: Giving the freedom to think, create, and accept. 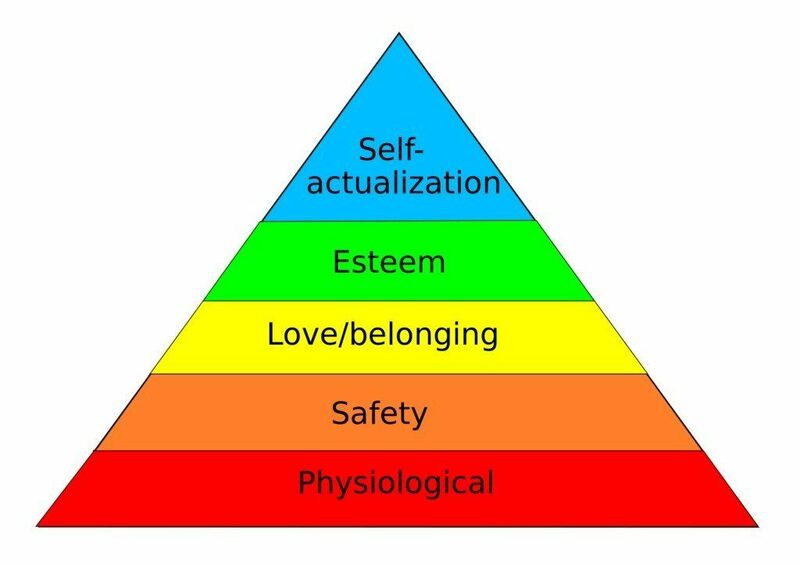 A pyramid is used for describing the hierarchy of the needs where the Physiological Need (the most needed) is the base, and the Self-Actualization part is on the top. But, the question remains, how an organization can use the pyramid to motivate their employees. If you just decode the theory, you understand that a company can fulfill, or indirectly help their employees to procure, each and every need in life. For a proper remuneration and job guarantee, employees can get the physiological and safety needs that they desire. Your team can find friendship amongst themselves—and with you—in your organization. If you give respect, the right opportunity, flexibility, and the leeway to your people, then they can even achieve the last two needs. Once your people are fed with the required needs, they can indeed become more motivated and perform amicably. But, everything depends on how you pay, trust them, treat them, and give them their space. If you do it correctly and fulfill needs, then you gain a motivated employee. And, when the topic is customer service, motivation through these needs is a very important need. When your employees feel motivated, feel good about their job then only they will be able to serve your customers in a much effective and better way. The most important task is to make your customer service executives motivated and to maintain the enthusiasm among the employees. Theory X and Theory Y talk about two different ways to motivate your people and get the work done. In Theory X, managers believe that employees are lazy, they avoid work, and hence they have to monitor executives carefully—and punish them if necessary—if they want to get the work done. A much more optimistic approach is practiced in the Theory Y section, where employees get the liberty to work and create ideas so that they return the faith with good value to the company. Businesses can use any one theory to motivate—either by faith or by force—so that your customers can have the best results. A mix of both is also vital in some cases—however with customer support Theory Y is preferred as some form of liberty, and leeway is needed to handle aggrieved customers. Customer service agents have to handle different types of customers. They come across various challenges and they have to deal with keeping patience. Most agents join customer service job with an excitement to help others but after few months their initial enthusiasm goes away. For better customer service it is very much necessary that the management keeps the employees happy and motivated. In Herzberg theory, he explains that satisfaction and dissatisfaction functions on the same plane. By offering a higher salary does not necessarily mean that employers will then be satisfied. How to apply the two-factor theory in an organization? Managers and team leaders want their team to give their best. But to achieve best possible performance it is must that your employees are motivated? How will you motivate your team? The organization must work on the things that bother your employees. There is no point in motivating employees if the hygiene factors aren’t taken care off. You can’t expect your team to work efficiently, with their chin up if you do not provide them with the right tools. Your team will only be able to serve your customers better if they have the modern systems and technologies at their disposal. Inadequate or inefficient resources will demotivate even the best. Your customer support executives can provide top-notch support with tools like Customer Relationship Management, where your team can easily manage customer data, information, and the interaction process. Tools like CRM allow companies to provide a competent support system, which in turn helps your team to offer better service. All of it increases their urge to help and also gives them job satisfaction. Apart from CRM, support teams can also use tools like Live Chat, where they can interact with a customer on a real-time basis. Live Chat software like Acquire allows the support team to do things like co-browse, screen share, video chat, text chat, audio record, and file share. All of this stuff can quickly reduce the turnaround time in solving cases and can motivate your team to serve your clients in a faster, efficient, and a better way. If you do not pat the back of your team when they do well, then you miss an excellent chance to motivate your team further. Remember the Esteem part of Maslow’s theory or Herzberg’s Motivation factors? Recognition is quite a vital need for any person, as positive motivation comes automatically from it. Feedback is vital, as employees know that if they do something wrong they will get a reprimand. Thus, the top level management has to make sure that good work also gets some due credit. Good and positive feedback is vital for enhancing the morale of your team. Also, if you feel your team is a bit demotivated about something, then some encouragement can quickly pump them up again. Proper and regular encouragement is quite vital, as your employees can quickly lose the plot if you do not guide them with positivity. Research shows that Customer support team become more confident, there will be a good understanding between manager and employees and ultimately their relationship will get improve and as a result they will enjoy their workplace, will get inspire to do a great work and will be able to give best customer service to your customers when their efforts and results are recognized. Even if you employ the best motivational practices and provide your team with the right tools, nothing will seem right if they have to overwork and put in the extra shifts. Balance and proper distribution of work are the key things here, as no one likes extra work. It is quite a natural thing also; as if you dump too much work on a few shoulders then attrition would finally get to them. Proper delegation of work— where the managers and the hierarchy also share the important tasks. This work-sharing can easily become a huge motivational factor for your team. Have the right number of people in the team. Setting proper and appropriate goals for your team. Ask for proper feedback from your team and ascertain their comfort zone. Appoint the right man for the right man. Have and comply with a suitable timetable. As per research, more than 60% employees stated that they wasted time in doing work which was of less priority as they were unaware of what work was of more priority. A team leader should set realistic & smart goals to fulfill company’s objectives. Goals should be designed or planned in such a way that every employee feels motivated and encouraged to hit the target. Make sure goals are relevant to achieve more profits. Once you start working to achieve the desired target, take feedbacks and measure results at regular interval of time. This will help an organization to achieve success. As per customer satisfaction survey, Customer satisfaction got increased by 35% by the end of financial year. Inspire and motivate your employees to focus on their skills for their self- development. Create plans/programs that will help employees to nurture and retain their talents. Motivate and allow your employees to give 10 percent of their time for personal or professional growth. Invest in learning and development programs for your employees and ask them to share what it is. Ultimately this will be beneficial to the employees as well as to the organization. Arrange a training sessions for your team so that they get deep knowledge about the current market news and latest technology. Appreciate & praise your employees in front of everyone for completing tasks and successfully achieving goals. Give rewards to your employees to acknowledge their hard work and best results. This will boost their enthusiasm & motivate them to perform better. Research shows that 81% employees get motivated by appreciation. Rewards can be in any form like gift coupons or briefcase or taking the employee out for lunch or a bonus. This will encourage them to achieve even greater results in future. Motivating your team may be one of the most tedious tasks, but if you play your cards correctly, then your team can enjoy their work with enthusiasm and confidence. If the employees will feel motivated they will be happy to serve customers and this will lead to better customer service and ultimately improve brand image and sales.